There is a whole lot of gloom being published about the impending Twitter API changes. However when I read Twitter’s blog post explaining the changes a few hours ago, I was left thinking a lot of the changes were reasonable and made sense. The most useful API endpoints (Tweet display, profile display, user lookup and user search) will be dramatically increased to 720 calls per endpoint, per user, per hour. This will enable exciting new uses of the API – currently the limits are 350 calls per user per hour across all endpoints. In particular this change will significantly increase the amount of social graph data a single application can access about a user in a timely fashion. The search API will move to the under Twitter’s existing API authentication. This means that it will be rate limited in a way that will grow as your user base grows. Currently there is a per-IP limit which does not scale & makes building an analytics product very unpredictable. 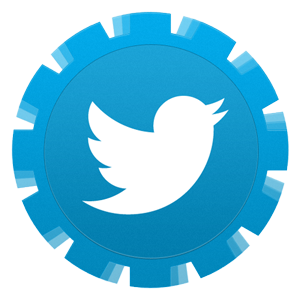 Direct contact with Twitter when dealing with a large number of tokens. Building an application on Twitter’s API means that you become very dependent on them. It’s in the interest of all large third parties anyway to align their interests with Twitter. Being forced to work with Twitter when you have a large number of users looks like a postive to me, not a negative. It takes away the uncertainty and give you a direct line to make sure that your business goals are aligned for the long term. It works both ways – if Twitter requires you to work with them, then they must be communicative on what they want to see in your app. Currently it’s like we’re swinging in the dark. We get a few hints about what Twitter wants to see, but never know if we’re heading in the wrong direction in any specific case. Hopefully this will remove that uncertainty. Specific rules and not vague guidelines around displaying Tweets. Until now there has been some vague hand waving about the correct way to use Twitter’s brand, but it’s never been enforced. With concrete rules we can always ensure we are in compliance and never end up guessing as to what is acceptable. As an active developer on Twitter’s API (ManageFlitter just passed 1,000,000 users), we’ve been paying very close attention to Twitter’s upcoming API changes.Throughout Twitter’s history there has been an ebb and flow in restrictions placed on Twitter’s API. For the first few years it was often not clear what uses Twitter would allow on their API. Applications would randomly be revoked access from Twitter’s API as the contravened unwritten rules. All this was part of Twitter’s teething process – they didn’t know what they didn’t want to see and could only ban it once they saw it. The changes announced today by Twitter are the next logical steps in the process of maturing their API.Twitter have observed how the ecosystem has evolved and now they want to make it clear what their position will be within this new environment. They clearly want to own the consumer client space, but the rest of the market is free game. They’ve been hinting at this for at least 18 months. Now we have a much clearer picture as to what that really means. The bottom line is, as a Twitter API developer this change gives us increased security, understanding and a better platform to continue investing in Twitter’s API.There’s always risk when building a business on a third party. There is always risk in business in general! The ecosystem has the benefit of building on a platform like Twitter and leveraging its insane growth and penetration. But built into this leverage is the risk of building on a platform owned and controlled by someone else – it is unavoidable to remove this risk entirely. These changes today go some way to decreasing the risk and unpredictability, a useful thing for us in the Twitter ecosystem. My only request to Twitter is that they keep the lines of communication open … very open with their ecosystem. We understand that they are a business that needs to make a strong return on investment and that needs to be the centre of their world. We even understand that their API rules of the road need to be a little bit vague to give them wiggle room relating to certain decisions around the ecosystem. But if all policies are upfront, and risks are known to us we can then make our own judgements on risks and proceed accordingly. Nevertheless today’s changes contain a lot of positive signs of an evolving and maturing platform, something all of us in the ecosystem will benefit from.